Happy friday everyone! I am still focusing on the farm, over here in kinder-land! I have to share with you this cute little project we did with the book, Click, Clack, Moo: Cows That Type! I started by reading the book to the students. It's an adorable farm book about cows that type letters to the farmer. My favorite thing we did was we finished the sentences in the emergent reader, to show what each animal wanted! The kids got really creative with this! After reading the book, we continued our day talking about different crops that grow on the farm. I used different resources from my Crop Literacy Unit to help teach about carrots. The kids did a great job at labeling the carrot and writing a sentence! 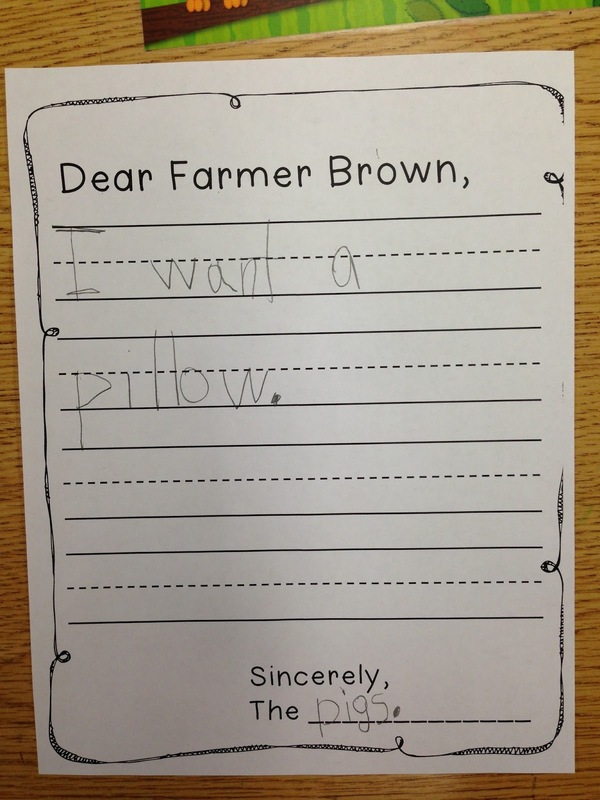 I was able to use two different printables to differentiate sentence writing. The students could either cut and paste the sentence or print it. They loved having the choice. Most chose to write it, so I was happy about that! During center time, we did two different sorting activities. For language arts, they sorted the CVC words by short vowel sound. For math, they sorted the addition sentences according to their sums. After they sorted the number sentence, they wrote it on their white board. And of course, we had to make a vegetable craft to go with our crop unit! Thanks for reading about my Crop Unit! 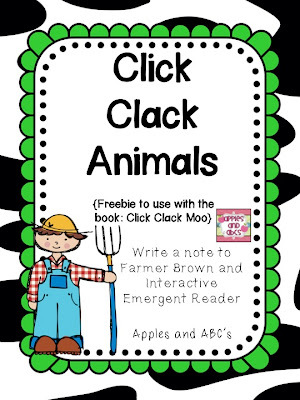 Here is the freebie for the Click Clack Moo book! 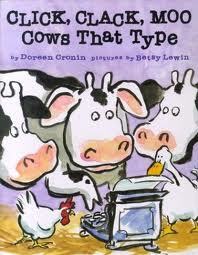 We just read this book today, to prepare for our field trip to a dairy farm! I had them write letters, but we just used plain ol' paper. I'll definitely keep this for next time...thanks!!! We love Click Clack Moo. Thanks for the free booklet. So stinkin cute girl! Thanks for sharing it! This story is a favorite in my class - thanks for the great freebie! Could you e-mail a copy of the farmer brown letter? I cannot find one either!